There are a lot of web sites with historical, statistical and other information on Spurs. No site will ever be complete and each adds their own eclectic mixture of information. The following are links to some pages I have found interesting, used for reference or otherwise stumbled upon. Many authors have spent a lot of time, effort and love in composing their pages, so please stop at these sites and have a look around. You never know what you will find. 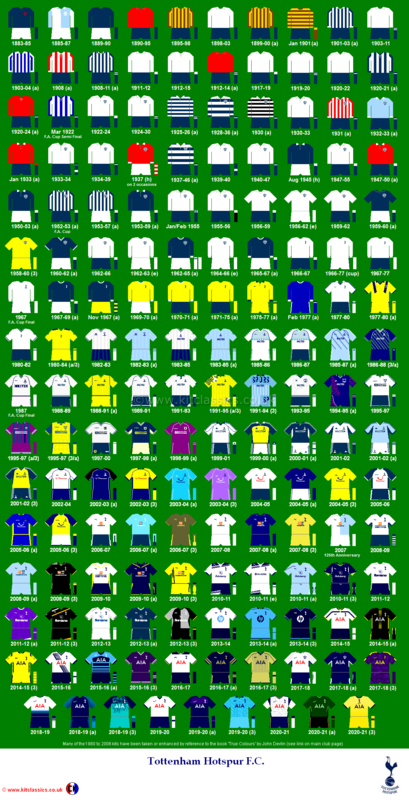 Wikipedia: History of Tottenham Hotspur F.C. Spurs Odyssey (an excellent collection of historical articles including features on Nicholson, the Double Team, Greaves, Burkinshaw, Hoddle and many others). How Arsenal got “promoted” in 1919.